How did Brian, a young 19-year-old Irish lad, land one of the best seats in the house? Simple, he used a ladder. Brian was in Las Vegas along with his two mates, who were obviously looking for one hell of a night out. 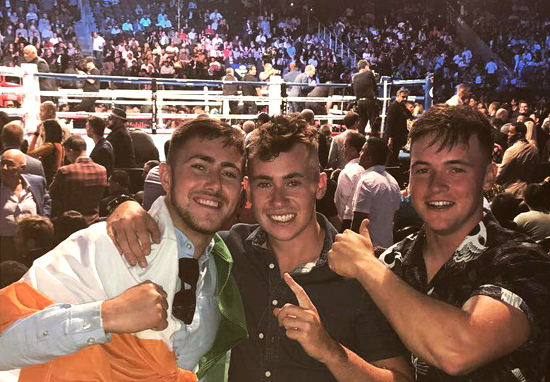 His two mates both scored some tickets to the big fight between McGregor and Mayweather. But the poor bugger couldn't cough up even the cheapest seats in the house which were a mindblowing $5,000. So here the story begins. Brian shows up at the MGM arena, nice and early to find "any weaknesses" in the security. Turns out and probably no surprise, the security was heavy. So Brian had to come up with some sneaky ideas to get past. "There were two different security check-points. The first one was mental detectors and sniffer dogs. I hung around for a bit - then I noticed Conor's family. Not his close family, maybe his extended family, his cousins or something. I was well dressed and there so many of them so I just joined in the group and wallked in with them. No problem. " "I got to the second security check - point, but there was no way past them without a ladder. 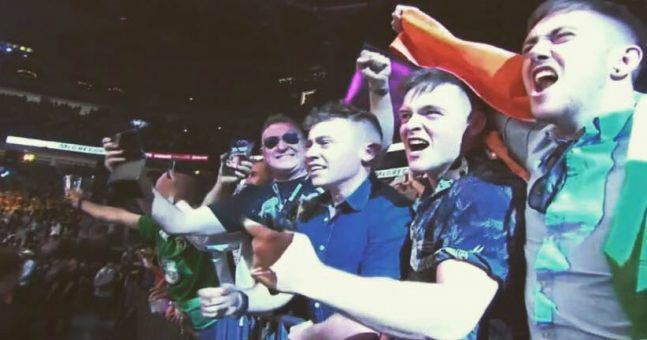 Plus I think Conor's family noticed me, so I seperated myself from them." "I was walking around a bit and noticed a ladder just lying there by the door. So I picked it up, walked in, no pass needed, just straight through the doors. I then put the ladder down, found my mates and we played the waiting game." Now the easy part.. Brian and his two mates waited for three seats to clear up, then it happened. But these were ordinary seats. These were front row seats. Brian then goes on to say "We asked around and someone said that those seats were worth $80,000 each, so we waited for security to leave the area and we went in"
What a way to watch one hell of a fight. That's a story that Brian won't be forgetting in a hurry. Not a bad night in Vegas aye.